I arrived at Bengaluru on Saturday morning and had half a day to spare before checkin time at Oyo Premium Hotel Bengaluru International. 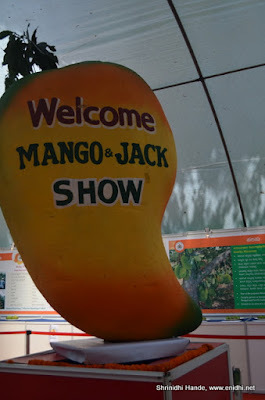 I went to Lalbagh to check out mango and jackfruit festival. 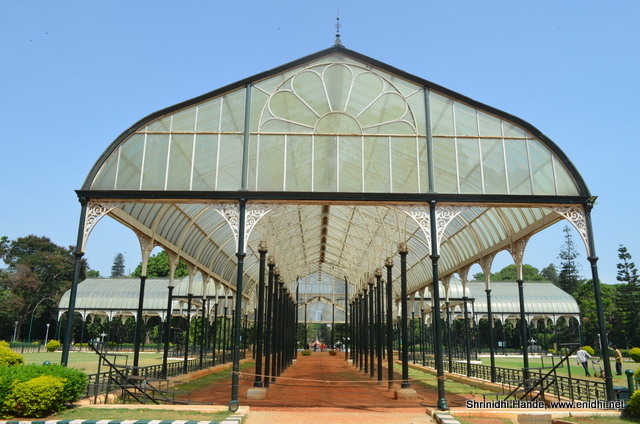 Lalbagh is one of the big gardens in Bengaluru, with a popular glass house in the centre, a lake and many other attractions. Twice an year, during republic day and Independence day, flower show is organized in Lalbagh, exhibiting wide variety of flowers. During other seasons, other horticulture related shows are held occasionally. 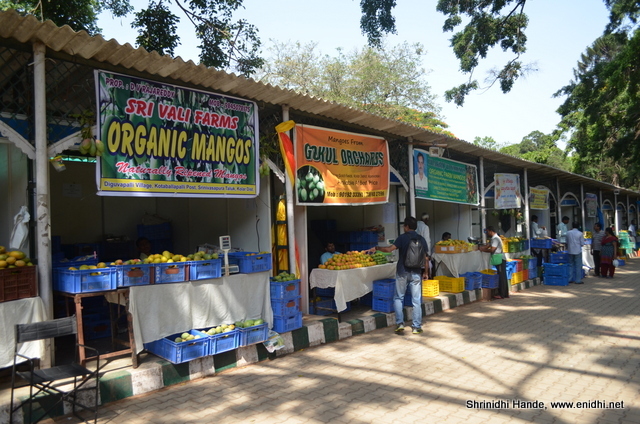 Exhibition area has a small outlet that displayed samples of various varieties of Mangos and displayed technical information related to Mango harvesting. Few varieties of jackfruit was also on display, but without a cut piece, it is difficult to understand the jackfruit varieties- they all look alike on the outside. While CM had posed munching on delicious mangos, visitors didn't have any provision to taste various varieties of Mango that were on display. 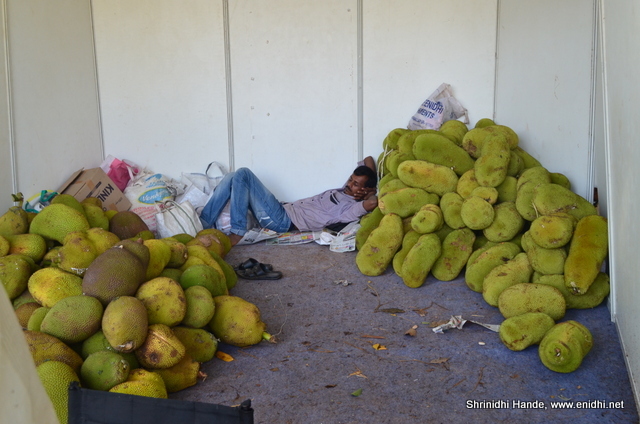 Jackfruit stalls were little down near the glass house- no standard pricing for jackfruits (it is difficult to quantify and fix a price), each vendor would sell at a rate he thinks fair. 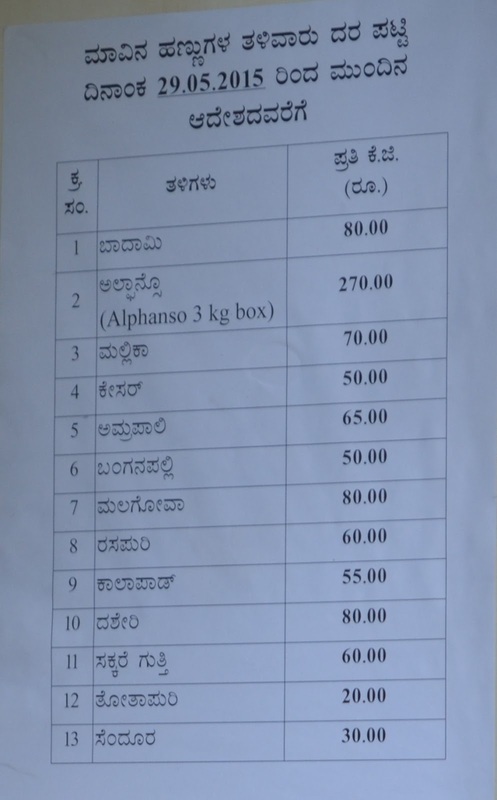 But I find that their rates are reasonable and much cheaper than what road side vendors charge. I bought and feasted on lots of Mangos and jackfruits. Yum! We were there last year and the variety, as always is mesmerizing! Looks like you had a good time there, Shrinidhi! Cravings, cravings! I love these fruits. 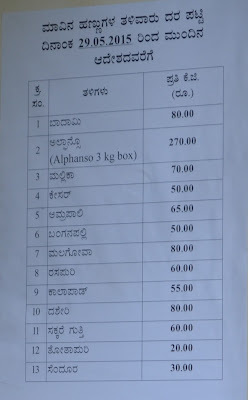 I had visited a similar mango & jack fruit mela held at Krishik Smamaj( At Hudson circle)Purchased one full jack fruit weing about 8.5 kg @ Rs16/kg. But was in for a big dissapointment when we cut the fruit.It was not at all good very fibrous ( not pulpy & juicy as in your photo). 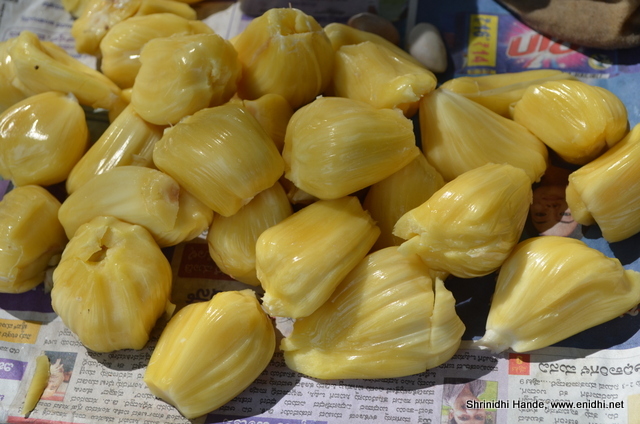 Till now I have not understood how to find a good jack fruit without cutting it.Any way I have planned to visit lalbagh mela this week end & buy some good jack fruit. sometimes we eagerly open a jackfruit before it gets ripe. Sometimes it is sheer badluck as nature has its surprise. It is also possible that vendor knowingly handed over a bad one. Colour of jacfruit is one give away- too green? then it is raw, too blackish? then it is overgrown. Mild brown is the right colour. Also one should be able to smell the aroma and decide. Best bet is ask the vendor to give you a piece which is ready for consumption, ask him to cut it in two and show- be 100% sure. @DN: yes I did... but can have it many times more..
@Yogi.. now you know why it is called King of fruits? @indrani: yes, with acupuncture benefits! I should have accepted your offer and had few Jack fruits the other day. Am so much fond of jack fruits n we hardly find them here in Mumbai..
You didn't try jackfruits when in Hassan? I have read this blog. I liked the pictures but they cannot be copied, which i can appreciate. 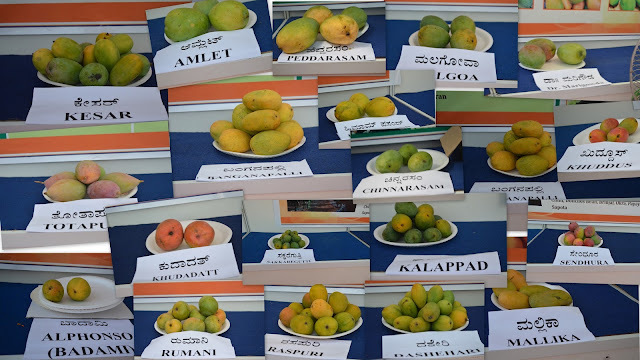 I was writing article for a conference, and seeing so many mango varieties i thought a picture would say more. If you can share, pls send me to indrakantidel@yahoo.com; more after you respond. I know kannada too. 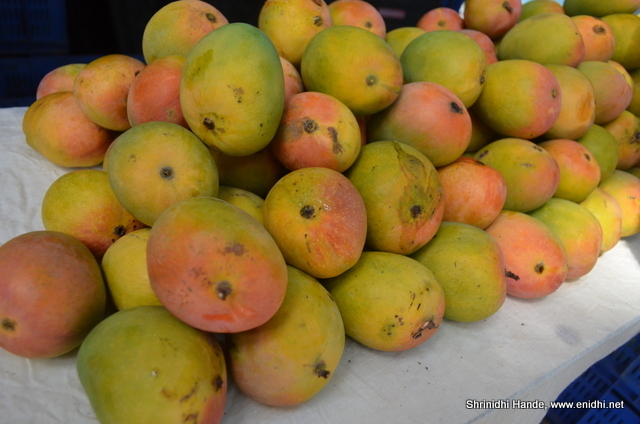 Am looking for leads to host a mango festival. Can you suggest some guys who organise these festivals.